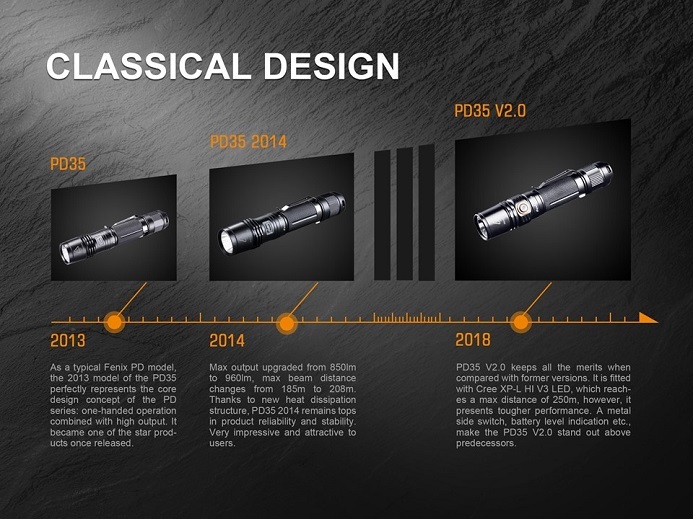 Here is the long-awaited upgrade to the best seller Fenix PD35! The Fenix PD35 V2.0 is out and has some new features that makes it stand out over its older brother! The V2.0 has 1000 lumens, a boot-up battery level indicator, almost 150 foot increase of throw distance, and a new metal side switch! The PD35 was designed with the military and law enforcement in mind as their ideal customer so your biggest problem might be keeping hold of it, as every time I used it people wanted to borrow it. 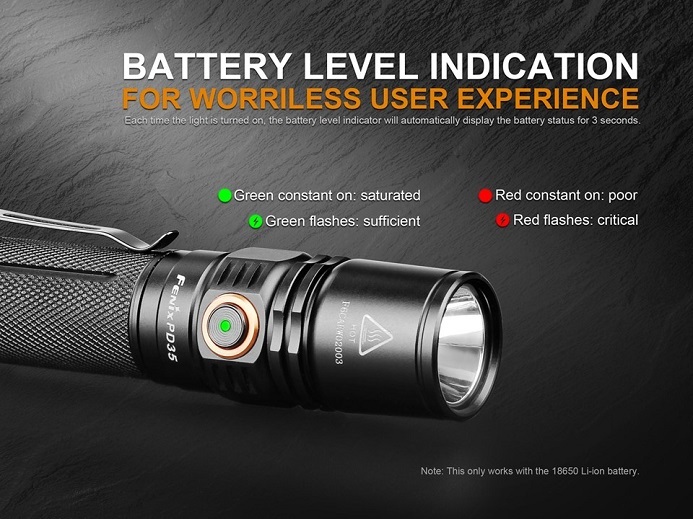 The Fenix PD35 flashlight has a power management system, which basically lowers the brightness level in increments as the battery starts to drain. Once it is at the lowest brightness, it flashes off and then back on every five minutes, to make you aware that it is time to recharge it. 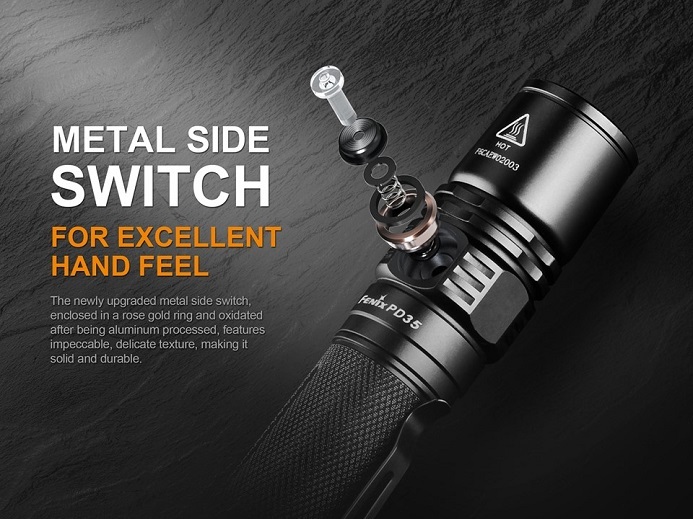 This is a very welcome feature and one not regularly seen on other flashlights at the same price point. 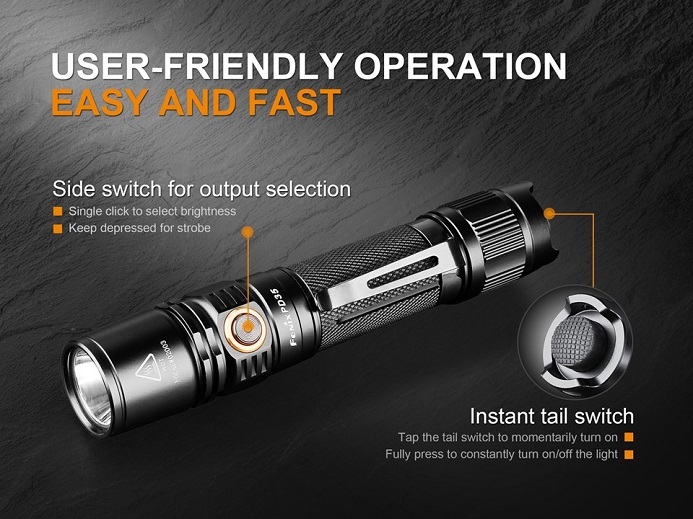 The flashlight comes with a dual switch option, meaning that you have the tactical option of a quick off and on button otherwise known as a tail switch, as well as the standard on-off switch at the side. This entry was posted in Product New and tagged flashlight.